We are successfully engaged in trading a wide gamut of Designer Glass Clock. We offer decorative glass clocks in various designs & patterns to suit different client’s requirements. 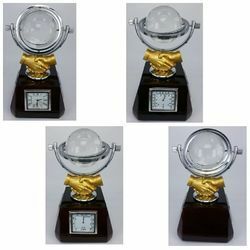 These Decorative glass clocks add beauty to the place and look elegant & classy. Stained glass fused clock sailing in the night sky. 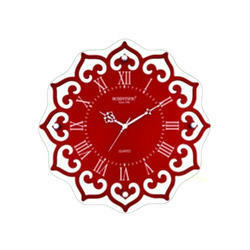 Quick overview At Giftam.com, we have come up with beautiful designs of customized clocks as gifts for your loved ones. A Custom clock is essentially a thing which every person getting into your home is bound to notice, and of course people living in the home too. Why not make it have your imprint Buy personalized clocks for your loved ones and make them happy. A perfect conbination of expressions with utility is our newely introduced product 'Sublimation Glass Clocks'. With this product we have added utility to Glass frames in terms of clocks. we are leading suppliers for all sizes and shapes in Sublimation Glass Clocks. We are offering Glass Bl-26 Frame to our clients. We are a reputed entity in the industry, actively engaged in offering an optimum quality range of PromotionalGlass Clock. Dimension: 29 x 38 c.m. Our firm is offering an optimal quality series of Glass Clock. This product is made by using the best grade material and advanced techniques. Experts make this product as per industry parameters. Our products are extensively used by clientele due to their compact sizes and sturdy nature.